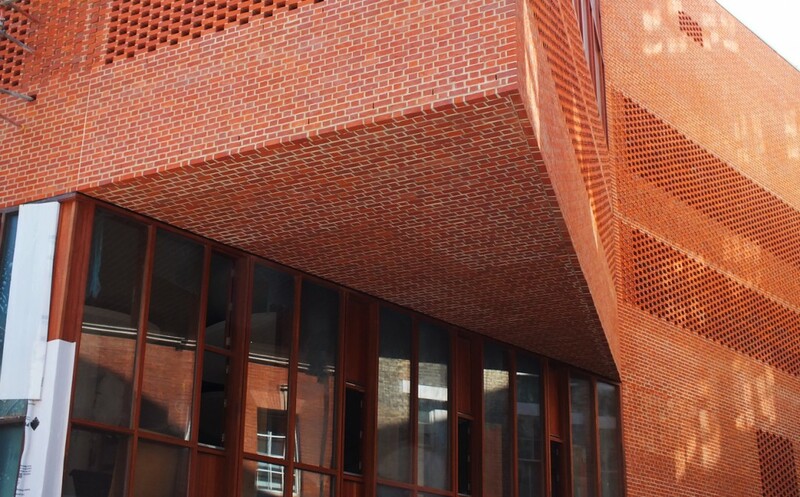 ACS was asked to provide a lightweight brick faced solution for the soffits and flue to meet the aspirations of the client and architect on this prestigious central London Project. 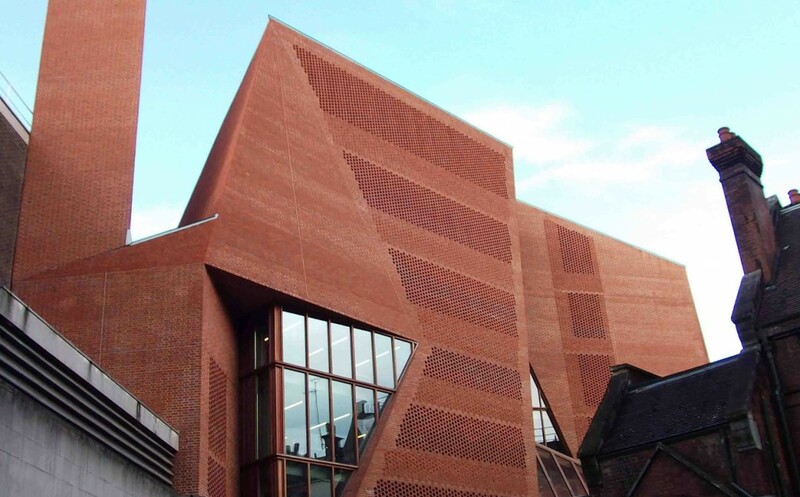 The soffits to the main entrance canopy, feature windows and chimney flue were manufactured by ACS and installed by Swift Brickwork Ltd on behalf of the main contractor Geoffrey Osborne Ltd. These elements were key to the aesthetic of the building and posed engineering problems which, through collaboration with all parties, ACS were able to develop products to meet the client's requirements. The chimney flue was a particularly difficult challenge because of the very acute angle that was required combined with fixing back the FastClad to the concrete structure.